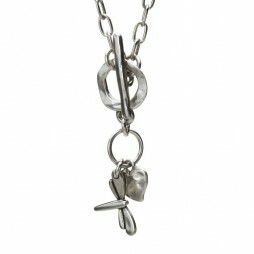 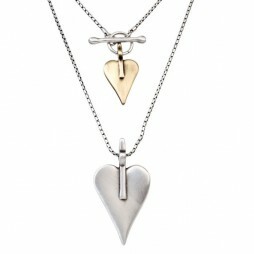 Joma Jewellery Friendship Sentiment Set Pave Heart Earrings And Necklace. 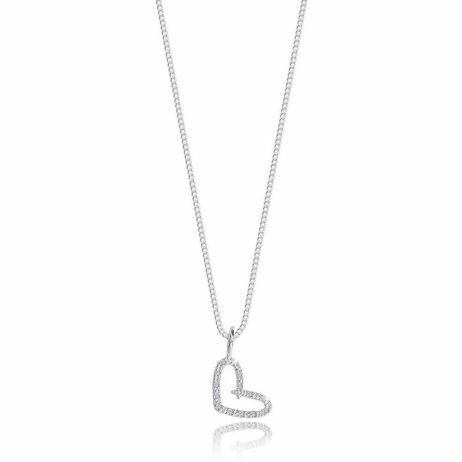 This silver plated outline pave heart necklace and earring set is the perfect gift to give to your special friends this Christmas. 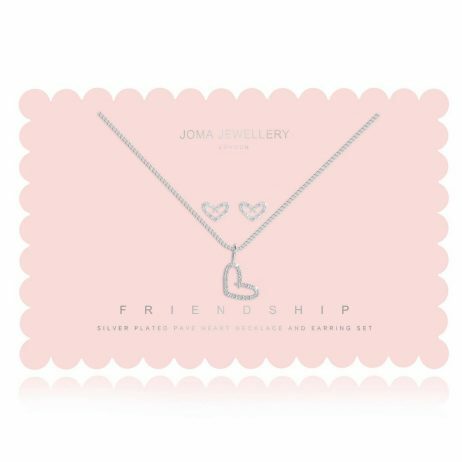 Set on a pink presentation card with the word ‘Friendship’. 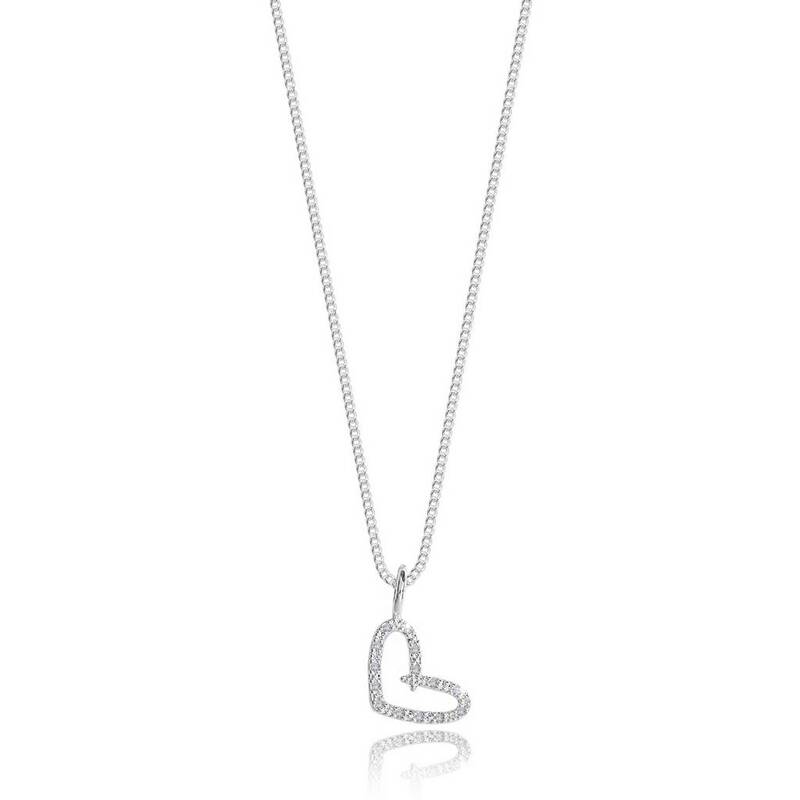 Brand new Sentiment Sets from Joma Jewellery with pretty pave charms and sweet sparkling earrings – sure to impress and delight. 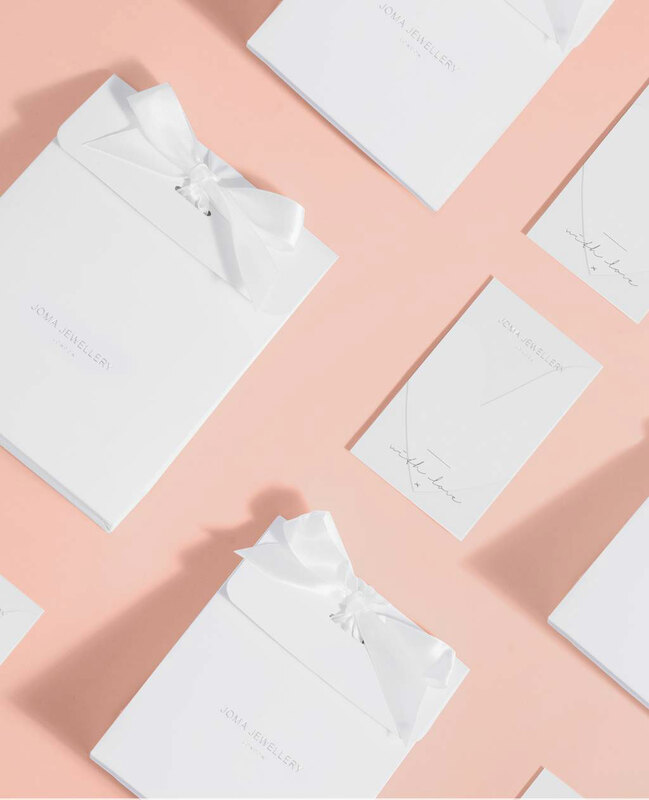 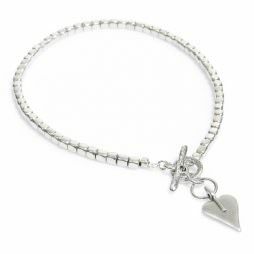 Our Joma Jewellery arrives to you or your loved one, inside an official Joma Jewellery white gift bag with white ribbon tie and gift tag for your special message. 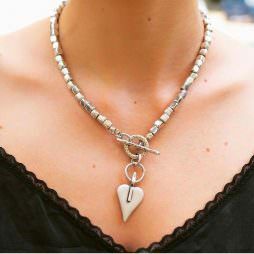 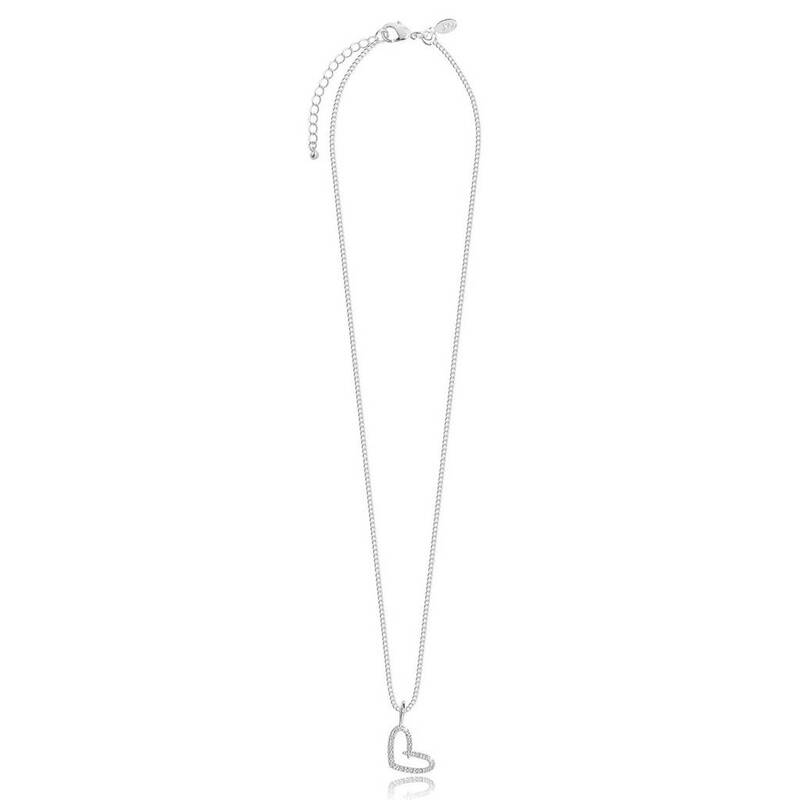 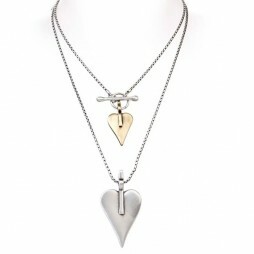 The exquisite Danon Long Silver Double Heart Necklace with a Large Silver and a Small Bronze Signature Heart can be worn in so many different ways and lengths, making it one of our customers favourite Danon necklace. First time I’ve ordered from Lizzielane, my order arrived quickly and beautifully wrapped. 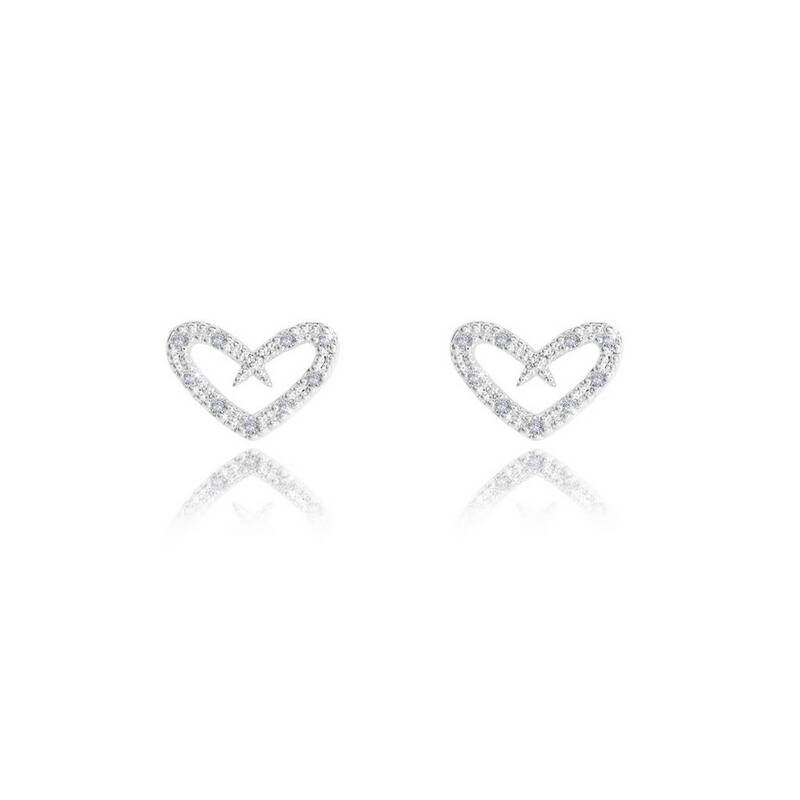 Free postage is a bonus too. 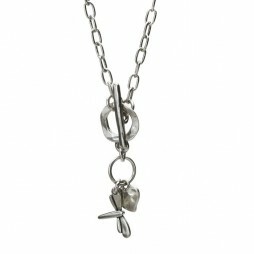 A friend has already ordered from you and I shall definitely be doing so again.